Learn more about the critical role that social and emotional learning plays in promoting student success. Editor's note: This piece is co-authored by Roger Weissberg, Joseph A. Durlak, Celene E. Domitrovich, and Thomas P. Gullotta, and adapted from Handbook of Social and Emotional Learning: Research and Practice, now available from Guilford Press. Today's schools are increasingly multicultural and multilingual with students from diverse social and economic backgrounds. Educators and community agencies serve students with different motivation for engaging in learning, behaving positively, and performing academically. 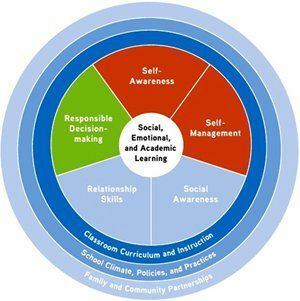 Social and emotional learning (SEL) provides a foundation for safe and positive learning, and enhances students' ability to succeed in school, careers, and life. Self-awareness involves understanding one's own emotions, personal goals, and values. This includes accurately assessing one's strengths and limitations, having positive mindsets, and possessing a well-grounded sense of self-efficacy and optimism. High levels of self-awareness require the ability to recognize how thoughts, feelings, and actions are interconnected. Self-management requires skills and attitudes that facilitate the ability to regulate one's own emotions and behaviors. This includes the ability to delay gratification, manage stress, control impulses, and persevere through challenges in order to achieve personal and educational goals. Social awareness involves the ability to understand, empathize, and feel compassion for those with different backgrounds or cultures. It also involves understanding social norms for behavior and recognizing family, school, and community resources and supports. Relationship skills help students establish and maintain healthy and rewarding relationships, and to act in accordance with social norms. These skills involve communicating clearly, listening actively, cooperating, resisting inappropriate social pressure, negotiating conflict constructively, and seeking help when it is needed. Responsible decision making involves learning how to make constructive choices about personal behavior and social interactions across diverse settings. It requires the ability to consider ethical standards, safety concerns, accurate behavioral norms for risky behaviors, the health and well-being of self and others, and to make realistic evaluation of various actions' consequences. In the long run, greater social and emotional competence can increase the likelihood of high school graduation, readiness for postsecondary education, career success, positive family and work relationships, better mental health, reduced criminal behavior, and engaged citizenship (e.g., Hawkins, Kosterman, Catalano, Hill, & Abbott, 2008; Jones, Greenberg, & Crowley, 2015). Promoting social and emotional development for all students in classrooms involves teaching and modeling social and emotional skills, providing opportunities for students to practice and hone those skills, and giving students an opportunity to apply these skills in various situations. One of the most prevalent SEL approaches involves training teachers to deliver explicit lessons that teach social and emotional skills, then finding opportunities for students to reinforce their use throughout the day. Another curricular approach embeds SEL instruction into content areas such as English language arts, social studies, or math (Jones & Bouffard, 2012; Merrell & Gueldner, 2010; Yoder, 2013; Zins et al., 2004). There are a number of research-based SEL programs that enhance students' competence and behavior in developmentally appropriate ways from preschool through high school (Collaborative for Academic, Social, and Emotional Learning, 2013, 2015). Teachers can also naturally foster skills in students through their interpersonal and student-centered instructional interactions throughout the school day. Adult-student interactions support SEL when they result in positive student-teacher relationships, enable teachers to model social-emotional competencies for students, and promote student engagement (Williford & Sanger Wolcott, 2015). Teacher practices that provide students with emotional support and create opportunities for students' voice, autonomy, and mastery experiences promote student engagement in the educational process. At the school level, SEL strategies typically come in the form of policies, practices, or structures related to climate and student support services (Meyers et al., in press). Safe and positive school climates and cultures positively affect academic, behavioral, and mental health outcomes for students (Thapa, Cohen, Guffey, & Higgins­-D'Alessandro, 2013). School leaders play a critical role in fostering schoolwide activities and policies that promote positive school environments, such as establishing a team to address the building climate; adult modeling of social and emotional competence; and developing clear norms, values, and expectations for students and staff members. Fair and equitable discipline policies and bullying prevention practices are more effective than purely behavioral methods that rely on reward or punishment (Bear et al., 2015). School leaders can organize activities that build positive relationships and a sense of community among students through structures such as regularly scheduled morning meetings or advisories that provide students with opportunities to connect with each other. An important component of schoolwide SEL involves integration into multi-tiered systems of support. The services provided to students by professionals such as counselors, social workers, and psychologists should align with universal efforts in the classroom and building. Often through small-group work, student support professionals reinforce and supplement classroom-based instruction for students who need early intervention or more intensive treatment. Family and community partnerships can strengthen the impact of school approaches to extending learning into the home and neighborhood. Community members and organizations can support classroom and school efforts, especially by providing students with additional opportunities to refine and apply various SEL skills (Catalano et al., 2004). After-school activities also provide opportunities for students to connect with supportive adults and peers (Gullotta, 2015). They are a great venue to help youth develop and apply new skills and personal talents. Research has shown that after-school programs focused on social and emotional development can significantly enhance student self-perceptions, school connectedness, positive social behaviors, school grades, and achievement test scores, while reducing problem behaviors (Durlak et al., 2010). SEL can also be fostered in many settings other than school. SEL begins in early childhood, so family and early childcare settings are important (Bierman & Motamedi, 2015). Higher education settings also have the potential to promote SEL (Conley, 2015). For more information about the latest advances in SEL research, practice and policy, visit the Collaborative for Academic, Social, and Emotional Learning website. Bear, G.G., Whitcomb, S.A., Elias, M.J., & Blank, J.C. (2015). "SEL and Schoolwide Positive Behavioral Interventions and Supports." In J.A. Durlak, C.E. Domitrovich, R.P. Weissberg, & T.P. Gullotta (Eds. ), Handbook of Social and Emotional Learning. New York: Guilford Press. Bierman, K.L. & Motamedi, M. (2015). "SEL Programs for Preschool Children". In J.A. Durlak, C.E. Domitrovich, R.P. Weissberg, & T.P. Gullotta (Eds. ), Handbook of Social and Emotional Learning. New York: Guilford Press. Catalano, R.F., Berglund, M.L., Ryan, J.A., Lonczak, H.S., & Hawkins, J.D. (2004). "Positive youth development in the United States: Research findings on evaluations of positive youth development programs." The Annals of the American Academy of Political and Social Science, 591(1), pp.98-124. Collaborative for Academic, Social, and Emotional Learning. (2013). 2013 CASEL Guide: Effective social and emotional learning programs - Preschool and elementary school edition. Chicago, IL: Author. Collaborative for Academic, Social, and Emotional Learning. (2015). 2015 CASEL Guide: Effective social and emotional learning programs - Middle and high school edition. Chicago, IL: Author. Conley, C.S. (2015). "SEL in Higher Education." In J.A. Durlak, C.E. Domitrovich, R.P. Weissberg, & T.P. Gullotta (Eds. ), Handbook of Social and Emotional Learning. New York: Guilford Press. Durlak, J.A., Weissberg, R.P., Dymnicki, A.B., Taylor, R.D., & Schellinger, K.B. (2011). "The impact of enhancing students' social and emotional learning: A meta-analysis of school-based universal interventions." Child Development, 82, pp.405-432. Durlak, J.A., Weissberg, R.P., & Pachan, M. (2010). "A meta-analysis of after-school programs that seek to promote personal and social skills in children and adolescents." American Journal of Community Psychology, 45, pp.294-309. Farrington, C.A., Roderick, M., Allensworth, E., Nagaoka, J., Keyes, T.S., Johnson, D.W., & Beechum, N.O. (2012). Teaching Adolescents to Become Learners: The Role of Noncognitive Factors in Shaping School Performance: A Critical Literature Review. Consortium on Chicago School Research. Gullotta, T.P. (2015). "After-School Programming and SEL." In J.A. Durlak, C.E. Domitrovich, R.P. Weissberg, & T.P. Gullotta (Eds. ), Handbook of Social and Emotional Learning. New York: Guilford Press. Hawkins, J.D., Kosterman, R., Catalano, R.F., Hill, K.G., & Abbott, R.D. (2008). "Effects of social development intervention in childhood 15 years later." Archives of Pediatrics & Adolescent Medicine, 162(12), pp.1133-1141. Jones, D.E., Greenberg, M., & Crowley, M. (2015). "Early social-emotional functioning and public health: The relationship between kindergarten social competence and future wellness." American Journal of Public Health, 105(11), pp.2283-2290. Jones, S.M. & Bouffard, S.M. (2012). "Social and emotional learning in schools: From programs to strategies." Social Policy Report, 26(4), pp.1-33. Merrell, K.W. & Gueldner, B.A. (2010). Social and emotional learning in the classroom: Promoting mental health and academic success. New York: Guilford Press. Meyers, D., Gil, L., Cross, R., Keister, S., Domitrovich, C.E., & Weissberg, R.P. (in press). CASEL guide for schoolwide social and emotional learning. 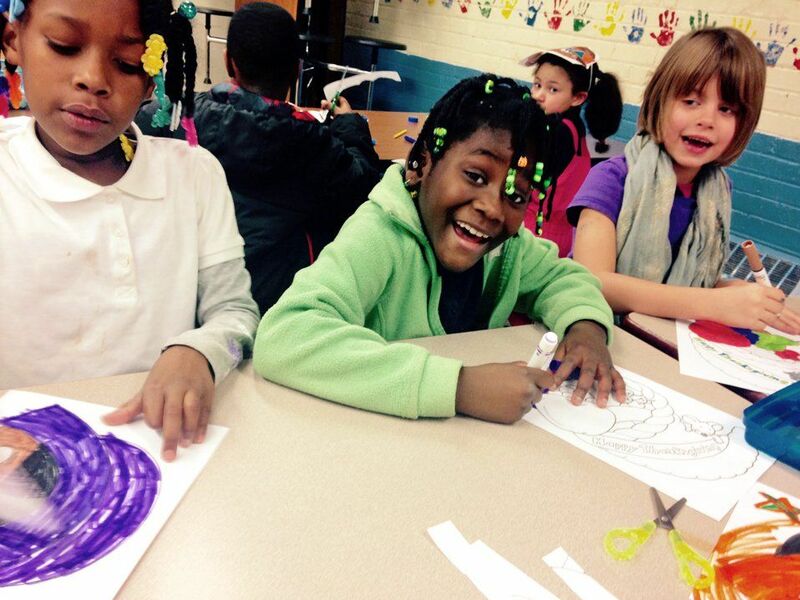 Chicago: Collaborative for Academic, Social, and Emotional Learning. Sklad, M., Diekstra, R., Ritter, M.D., Ben, J., & Gravesteijn, C. (2012). "Effectiveness of school-based universal social, emotional, and behavioral programs: Do they enhance students' development in the area of skill, behavior, and adjustment?" Psychology in the Schools, 49(9), pp.892-909. Thapa, A., Cohen, J., Gulley, S., & Higgins-D'Alessandro, A. (2013). "A review of school climate research." Review of Educational Research, 83(3), pp.357-385. Williford, A.P. & Wolcott, C.S. (2015). "SEL and Student-Teacher Relationships." In J.A. Durlak, C.E. Domitrovich, R.P. Weissberg, & T.P. Gullotta (Eds. ), Handbook of Social and Emotional Learning. New York: Guilford Press. Yoder, N. (2013). Teaching the whole child: Instructional practices that support social and emotional learning in three teacher evaluation frameworks. Washington, DC: American Institutes for Research Center on Great Teachers and Leaders. Zins, J.E., Weissberg, R.P., Wang, M.C., & Walberg, H.J. (Eds.). (2004). Building academic success on social and emotional learning: What does the research say? New York: Teachers College Press.